Today, we landed in Romania and it was the start of a new adventure. Just as we came out of the airport, we took the bus to University Square. There we found a restaurant so we took lunch there. I had some frog legs while Tonio took some pork with garlic and sausage. We had a walk through all of old town and I said that there are so many old buildings in the old town so that wherever we went there would be some small attraction like an old building or a statue. In the old town, we saw many old houses. Today will be longer than yesterday because yesterday we didn't do much. 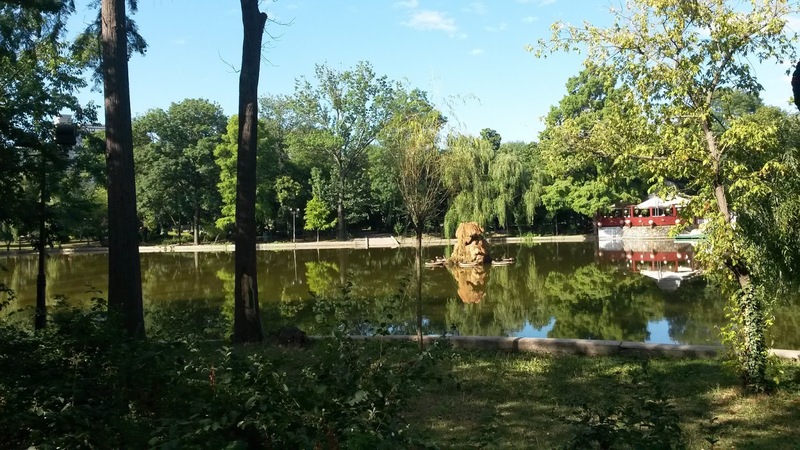 Today, we started off by going through Park Cismigiu which is a park right next to our hotel. It looked very peaceful at the time since it was still 8:45. We passed through old town and went into Victory Road which is where the people of Romania had their final stand and won for independence against the Ottoman Empire. There we saw a lot of buildings that we didn't know about yet. As I said yesterday, there would always be something to see no matter where we were and no matter where we went. After that we went to Unirii Square where we were told that every day there would be a walking tour. I didn't think there would be many people but there were 25. More than I thought. 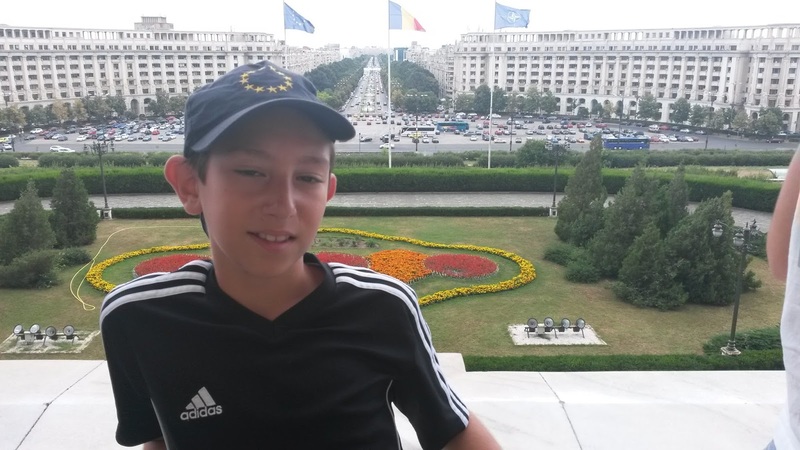 The guide, called Vlad, showed us all the main attractions of Bucharest. First, he told us about the House of Parliament, what used to be the megalomaniac house of the communist dictator Nicolae Ceausescu. He actually had a contest on who could build the best plan for his house and over 100 architects came. The architect who won was a very inexperienced architect and Nicolae only chose her because it was the biggest! So they did the plan and it took a whole 13 years with over 700 architects and 30,000 workers! 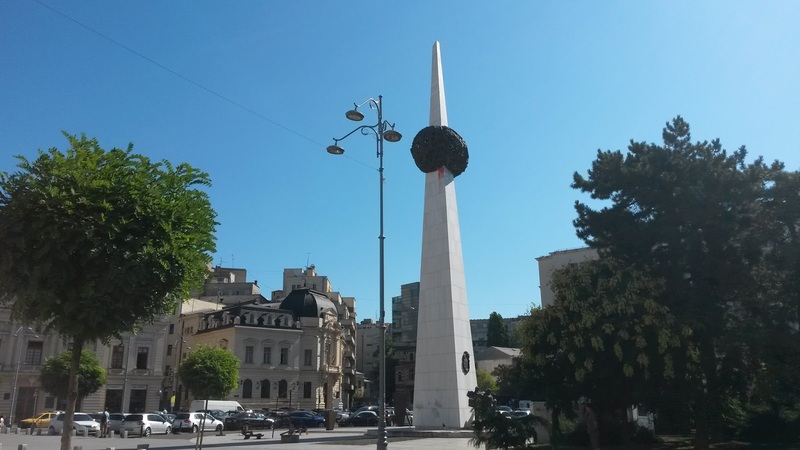 The building started in 1984 and finished in 1997, but after the revolution Nicolae died by execution in December 1989 and he hadn't used it since it was only 70 percent done. And guess who was the first person to do a speech in the balcony? Micheal Jackson! 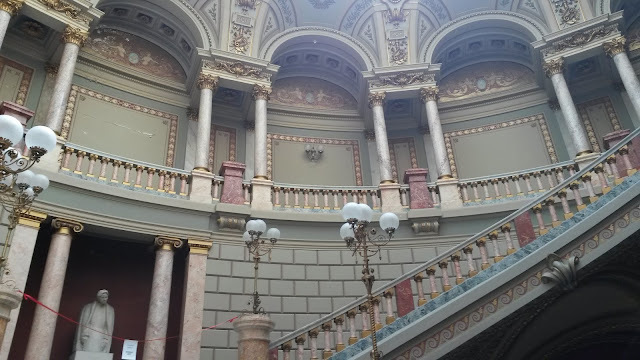 He was having a concert in Bucharest and he went into the house of parliament. Just as he came out onto the balcony, he saw some fans and gave a speech and he said something really funny. 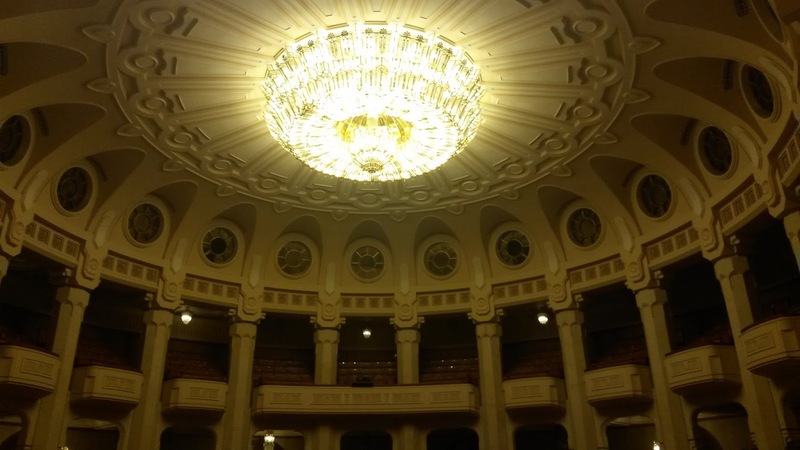 He said, "I am really happy to hold a concert in Budapest." He mixed up Budapest with Bucharest! And that leads on to another story. There was a match between two Spanish teams in the national football pitch and 500 Spanish fans booked the match in Bucharest and booked the flight tickets to Budapest! 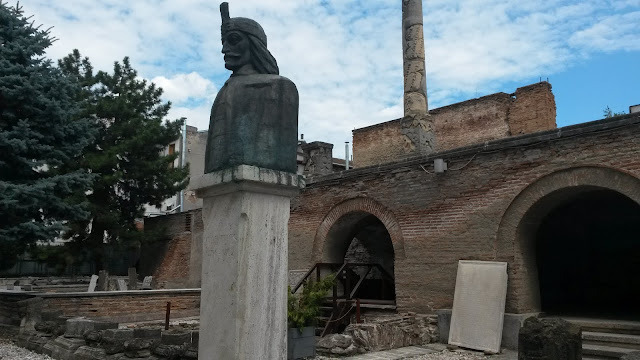 Then Vlad showed us a statue of Vladimir Dracula. This was actually his real name. 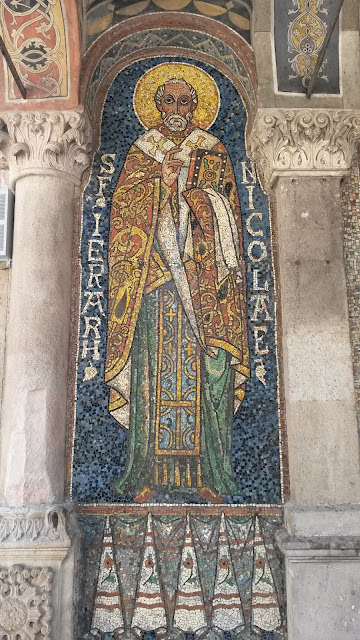 Later he was nicknamed Vlad the Impaler. Our guide told us a terrible story about how Dracula captured 2,000 Ottoman prisoners and tortured them to scare away an Ottoman invasion. 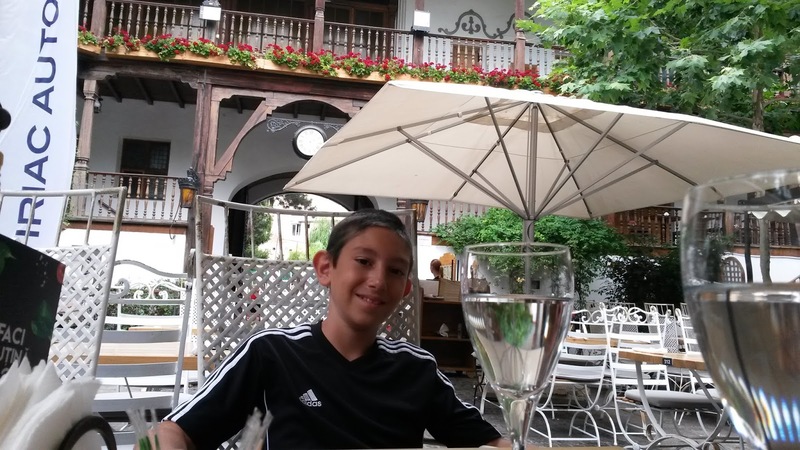 Next, he told us about a lunch place that in the 19th century, was a trading center for caravans. People used to go inside and start trading with other people in there. It was one of the safest places in the city because there was only one door and was always locked at night so only people with caravans could enter and no one else could enter and there would be 2 archers on guard every day and night so the people could do anything they wanted inside there except illegal stuff. 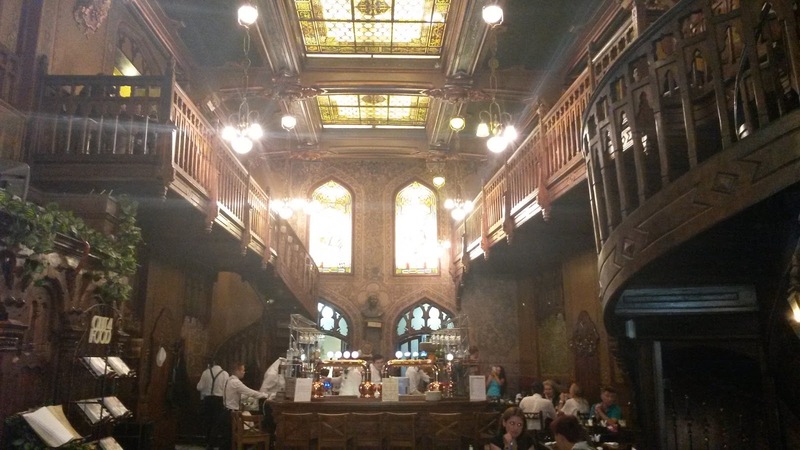 Now it has turned into a restaurant with very traditional Romanian food. 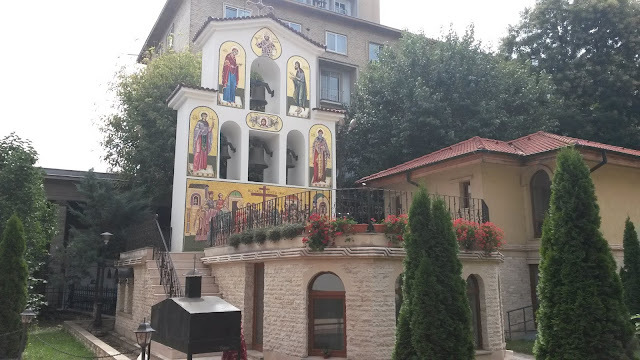 After that, we went into the garden of one of the churches that were moved. 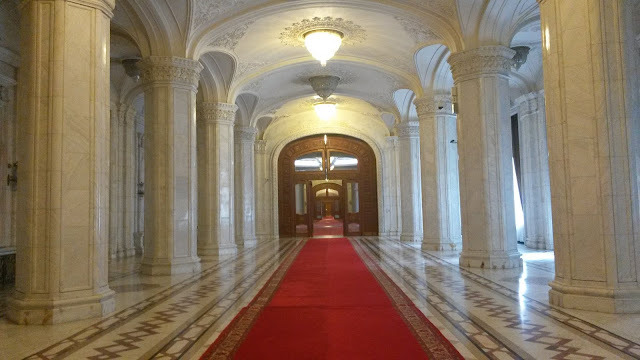 When Nicolae was building his big House of Parliament [Tonio: in Ceausescu's days, House of the People], he also wanted a boulevard bigger than Champs Elysees. The biggest boulevard in Europe. They ended up making the boulevard 3.5 km long. But in the process they had to destroy churches. One engineer was not happy about this so he tried to think of a way to move the churches. So he went to a pub for inspiration. Beer number 1. Nothing. No surprise there. Beer number 2. Still nothing. As the waiter was serving beer number 3, he had a brainwave. He could see that the waiter was moving the tray without moving the beer. 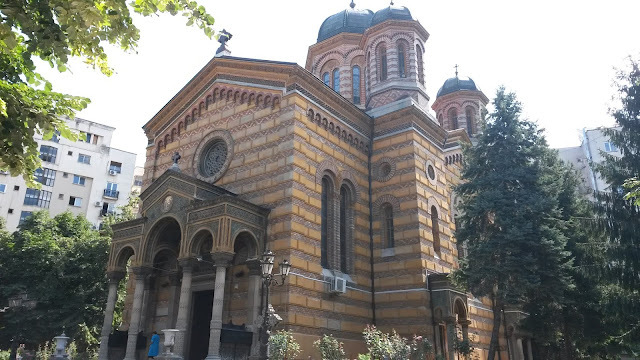 So Nicolae could do the same thing with the churches. but the idea evolved. The churches could be moved by rails. So Nicolae dug a hole under the church, put some concrete under the church, and put wheels under the church so that the church could move. We stopped for lunch in Hanul Lui Manuc. The place that caravans used to stop. I had some mici which are sausages without their skin. The story of that is from a pub in old town where the kitchen didn't have any sausage skin and the people were hungry so the owner just said to give them the meat. And turns out they loved it. And Tonio had stuffed cabbage rolls. Then, we went inside the House of Parliament and it looked majestic. We went to a really big hall which was used for nothing! Then we went to a much bigger room which was also used for nothing. and the rooms kept getting bigger further in. Then when we came back to the hall and it didn't look too big this time. Then we went back to the hotel to have a rest and watched TV. I told Tonio that TV in Romania is much better than in Belgium. Tonio disagreed. 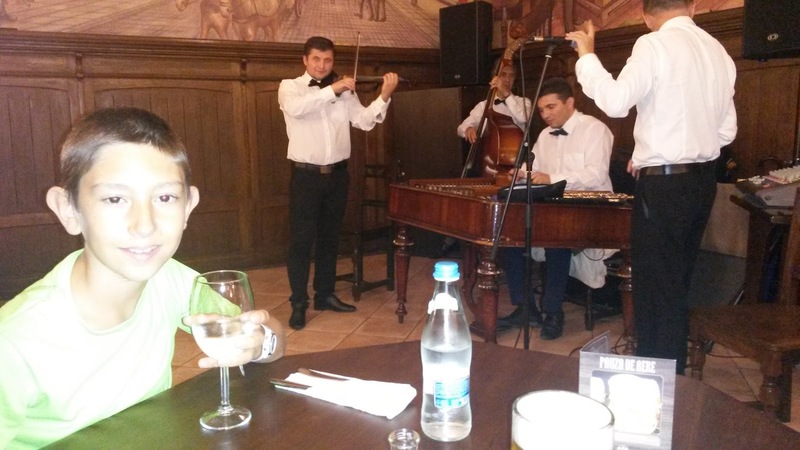 Then we had dinner in Caru Cu Bere. The oldest beer shop in town. Now it's a restaurant. It was giant with the main dining room that seemed as big as some of the rooms we saw in the House of Parliament! We went in the wine basement and there was a classical music band playing. It was very loud since we were really close but really good. 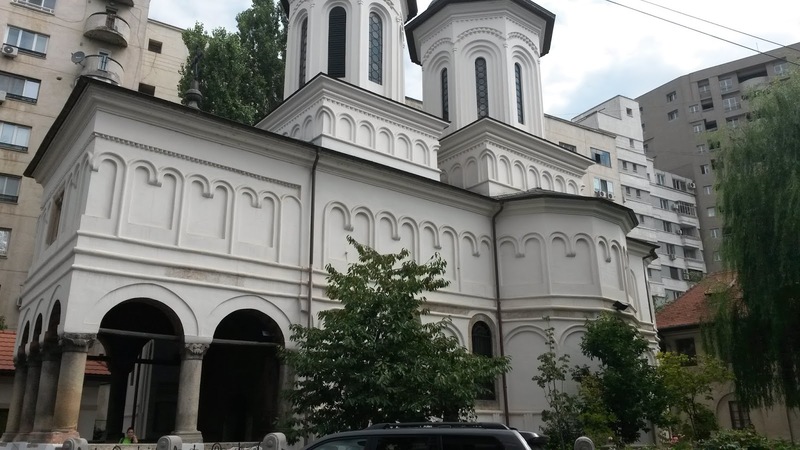 Today, we started off by going towards the Patriarchal Cathedral Complex. But we took a few detours. We saw around 8 churches! All of them looking beautiful and also a lot of variety. Some of them were with mosaic, some of them were white while others with all sorts of colors. But every single church was full of people. There were even crowds of people outside listening. We didn't know why yet. Then we saw the Patriarchal Cathedral Complex, we saw that it was on a hill. It was actually a place where there was a monastery for the priests. There were a few churches there but we couldn't see any because it was Wednesday and on Wednesday it was closed. 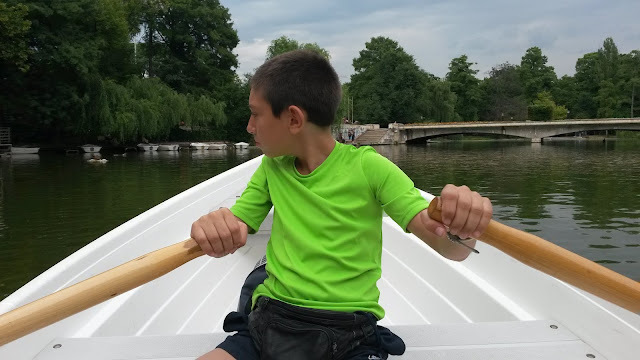 Then we went to Carol Park where we saw some boats and we were thinking of going to row a boat but Tonio said that there would be boat rental in the other park and that park called Tineretului Park had a much bigger lake to row a boat. So we went there and we tried to find the boat rental but we couldn't. But then we remembered that there was the other boat rental back at Carol park. So we went back there at 5:00 and luckily the boats were still open so we took one and Tonio showed me how to row. Soon I got the hang of it and was rowing in a small passageway of 3.5 metres. After we gave back the boat, we walked back to the hotel and had a little rest. Then we went to a South American restaurant and even though it wasn't Romanian it was really tasty! When we reached Revolution Square, we went to the Athenaeum and it was beautiful from the outside and the inside. Outside it had a little garden with a sprinkler. You'll see a lot of those in Romania. 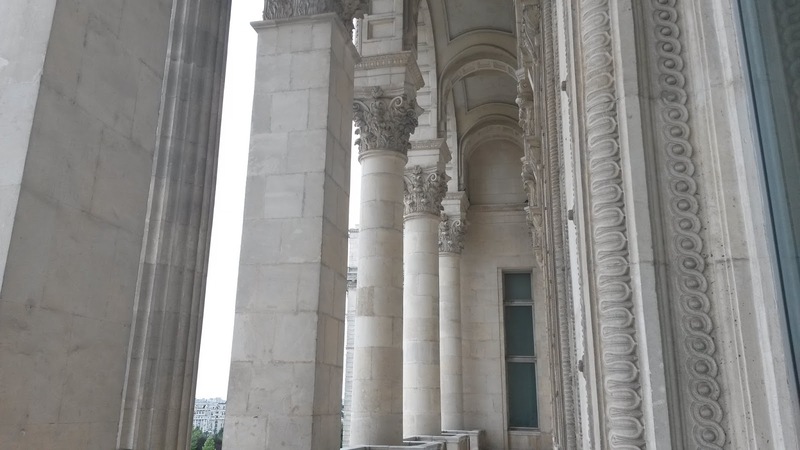 Inside, it looked Magnificent with a capital M. The columns, delicate. 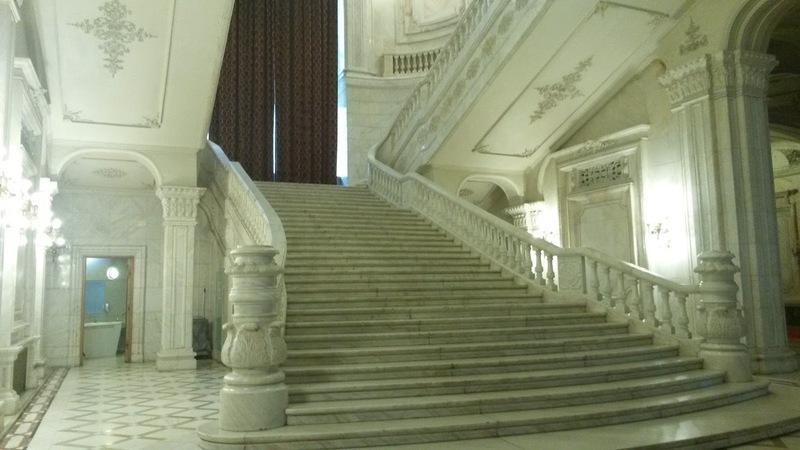 The stairs, grand. 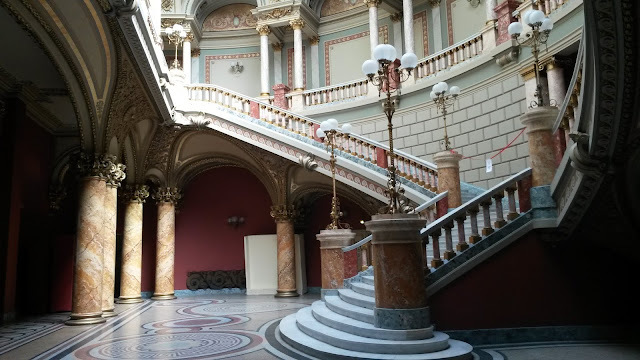 And the theatre upstairs, the most breathtaking place I have ever seen. It was all beautiful. The theatre even had the history of Romania in fresco! Then we went into the metro to Herastrau Park because there there was a guided bike tour there. While we were there we went to see the small replica of the Arch Of Triumph. It looked just like the one we saw in Paris. We started the bike tour by going to the House of the Free Press. It used to be where the communist newspapers used to be made. It used to be propaganda because the communist people didn't let you choose your own opinion. It had to be approved byd the communists. 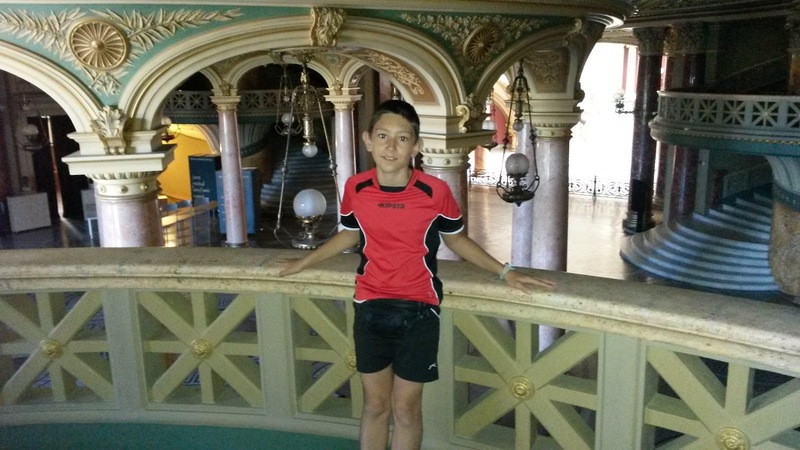 We also went to many places we'd already been like the Athenaeum and the House of Parliament. We had some local desserts. I had a sweet cheese with cocoa cake and Tonio had some special bread with potato in it. It was really tasty. After that, we went back to our home park, Park Cismigiu which we were very used to already and we almost knew where we were going so the guide didn't really need to lead us to Park Carol. He told us that the statue was for the unknown soldier. We had to go up a big hill but luckily, the only hill in the whole tour. The eternal flame represented the memorial of all the people that died from the First World War, or at the time called The Great War, to the Second World War. It must represent a LOT of people. 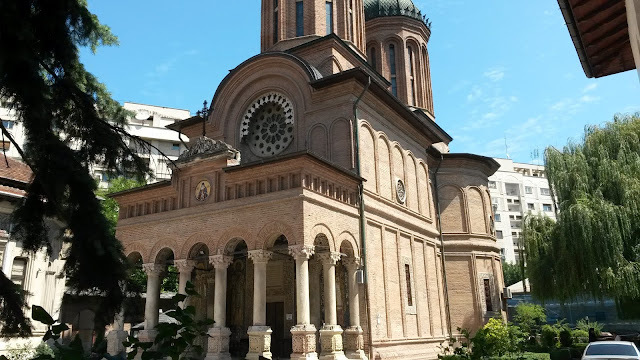 And finally, we ended the bike tour and surprisingly, we had gone the distance from north to south of Bucharest! What a distance. After the bike tour, we went into a restaurant that had beautiful decorations but no one was there because it was still only 17:45. We decided to eat early because we needed to sleep early, as the next day, we would have to wake up at 3:00! For dessert, Tonio had some papanasi, a dessert that has over 1,000 calories! It's made of doughnut dough with sweet and sour sauces and Tonio says it's delicious but I've never had much of a sweet tooth. I was full anyways. And lastly, we went to our hotel, brushed our teeth, and slept early only to wake up the next day, dress up and go back home. I really didn't want to leave Romania. But in the end, I had to. 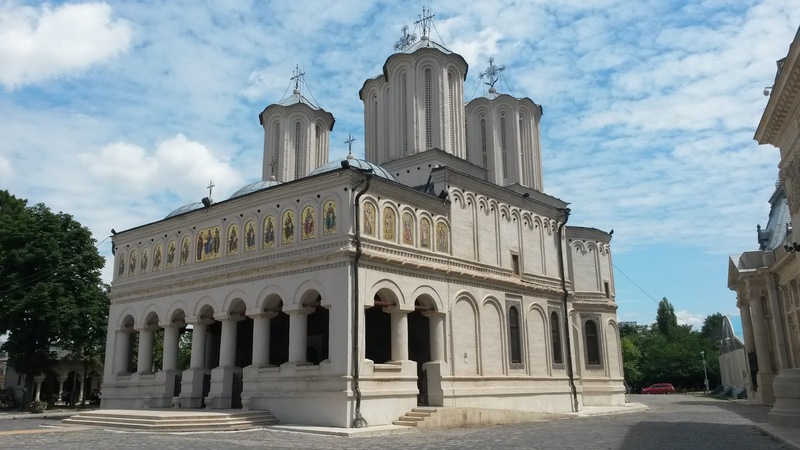 Did you enjoy our 4 days in Romania? If you have, then join us for our next adventure in Adventures In Dijleland! [Tonio's version:] I was a bit worried that there wouldn't be much to see or do in Bucharest except lots of traffic and heat. How wrong I was. Sure enough, we had a disappointing start. After an endlessly cold and wet spring in Belgium, summer had finally arrived. We left Charleroi airport under a cloudless sky and a temperature that was already warm in the morning. 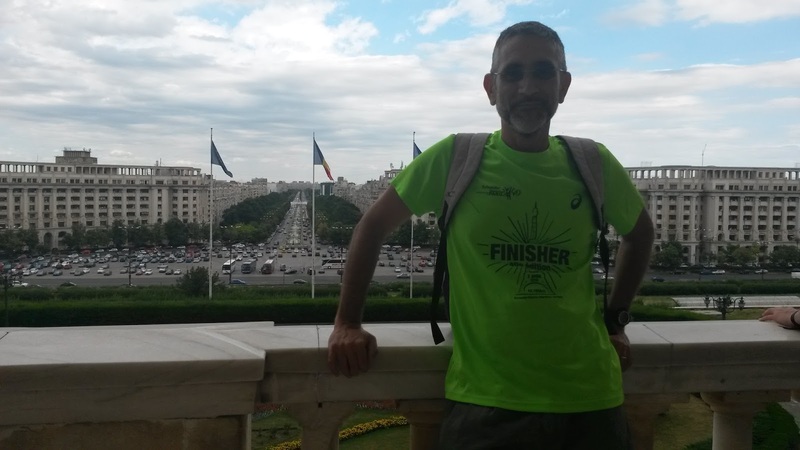 In Bucharest, which has supposedly guaranteed hot and dry weather in summer, our first venture out of the hotel was under a heavy downpour of rain! I had decided to use buses to go around but we couldn't find a map with the routes and the vendors in the public transport kiosks only spoke Romanian. Good thing that our hotel was situated quite centrally and we could afford to go on foot almost everywhere except the last day with just a couple of subway trips. From the first full day onward there was no rain but we had a convenient partial cloud cover, enough to help us avoid sunburn and to keep the temperature bearable. We walked towards the centre through the neighbouring Cismigiu park and took the first few pictures of monumental buildings and beautiful Orthodox churches before heading to Piata Unirii (Union Square), which is the meeting place for a twice daily guided walking tour. 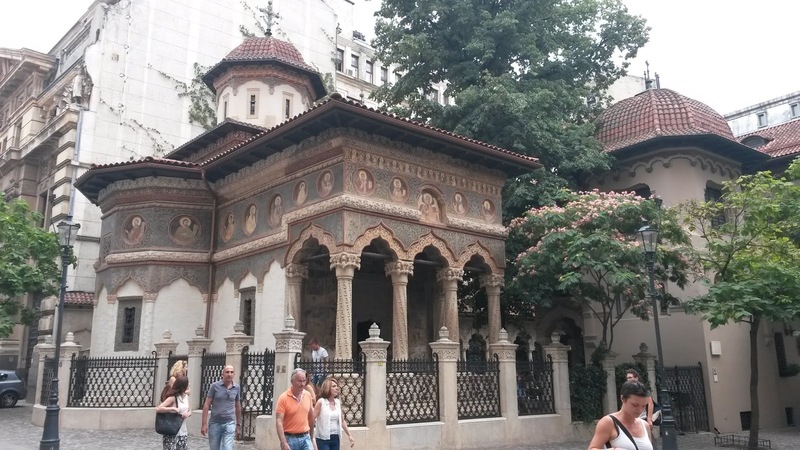 It's the best possible introduction to Bucharest. Our guide, Vlad, was friendly, informative, funny and passionate about the subject. 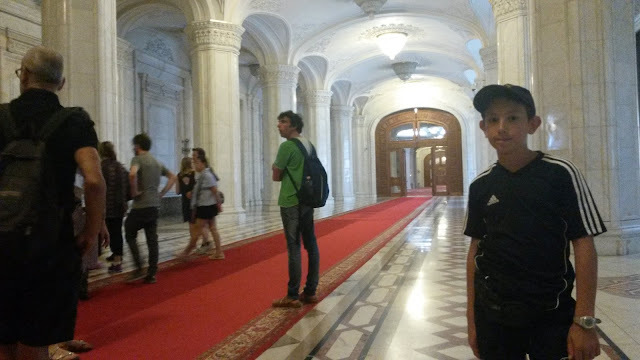 He started off with an explanation about the monstrous “Palace of the People”, now the Palace of Parliament, which we could see in the distance, built by the dictator Nicolae Ceausescu whose autocratic rule and eventual megalomania traumatised the country for generations. 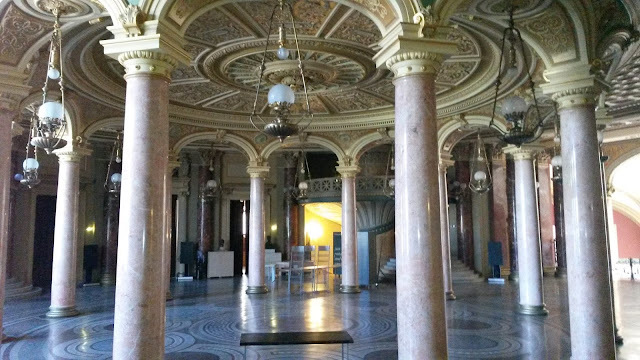 The construction of this extravagant palace absorbed much of Romania's resources and severely impoverished its population. 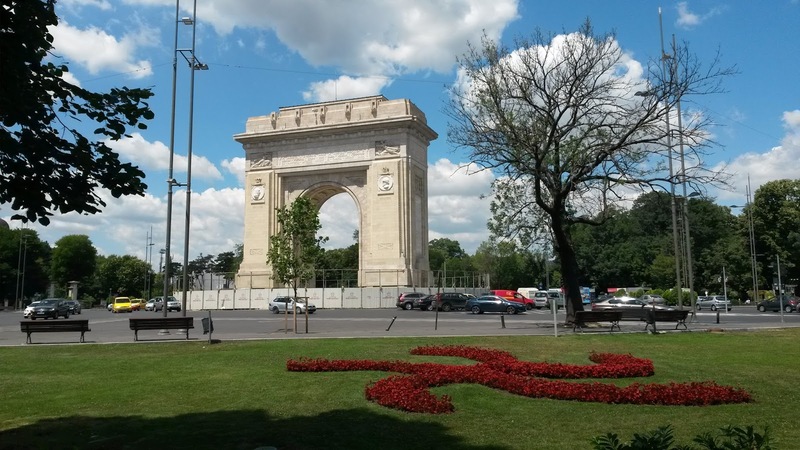 Large sections of the old town were destroyed to make way for it, and for the Unirii Boulevard in front of it that was specifically intended to be the biggest in Europe, at 3.5 km beating the Champs Elysees in Paris by a few hundred metres. 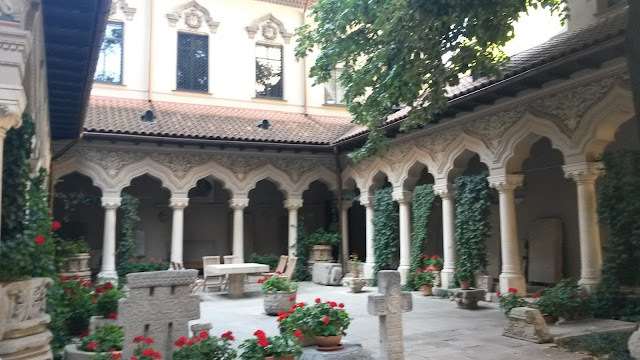 The tour covered a number of historic buildings and monuments and ended in Piata Universitatii with an emotional account of the years leading to the revolution and the final few days culminating in the murder of protesters in the same square where we were sitting. Nowadays, the transition from tyranny, corruption and chaos is well advanced and with Romania in the European Union the future looks much brighter. At the end of Vlad’s presentation we all burst into spontaneous applause! 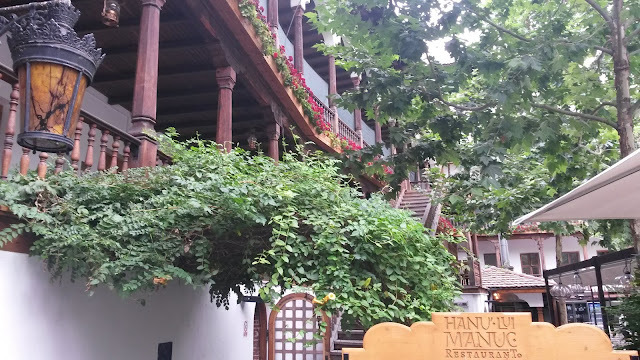 We had lunch at a historical inn, the Hanu’ Lui Manuc, which has a large courtyard and used to serve as a safe haven overnight for traders, their wares, caravans and horses. Now it’s a restaurant, and it’s a pity we had to be careful not to eat too much as we were already booked for dinner later in the evening in the most famous restaurant in Bucharest, the Caru Cu Bere. After lunch, we walked to the notorious Palace of the People to see for ourselves what it was all about. Goodness. The place is huge! The halls are oversized, lavish and mostly covered in marble, scrupulously sourced in Romania itself. It’s about 14 storeys high and has a nuclear bunker underground which is believed to be even deeper, with much of it still unexplored. 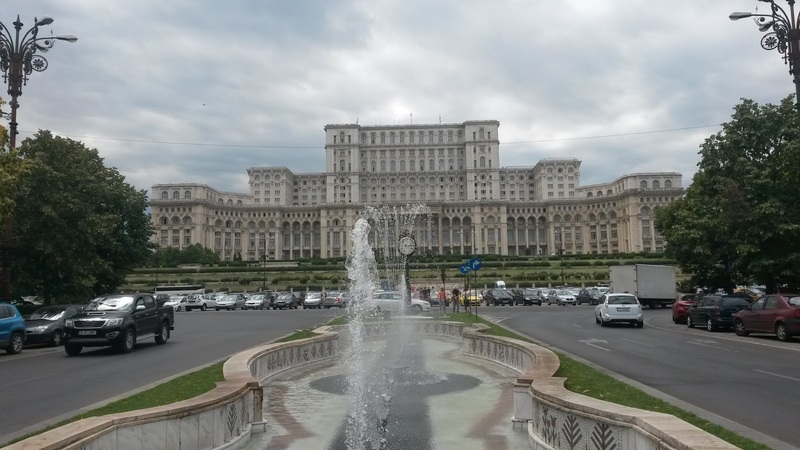 It’s the second largest administrative building in the world, after the USA’s Pentagon. It has thousands of offices, in fact two thousand government employees work there now. 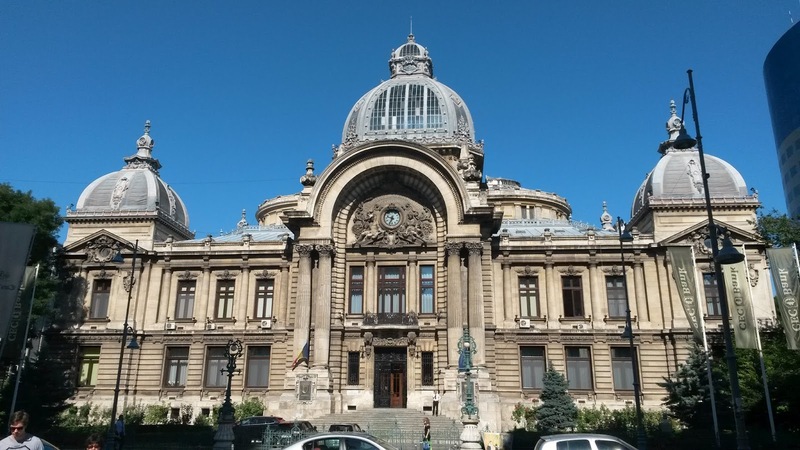 The Romanian parliament meets there. Conferences are held there. The gymnast Nadia Comaneci held her wedding reception there. The first person to address a crowd from its balcony was... Michael Jackson. 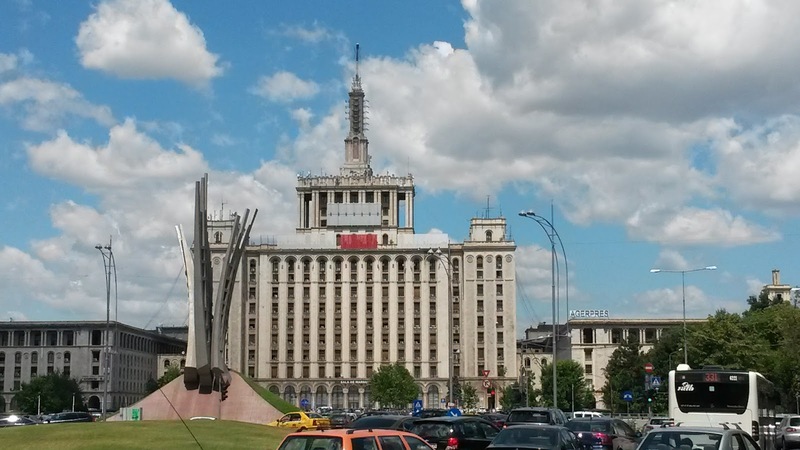 Ceausescu had already been executed when the building was completed. 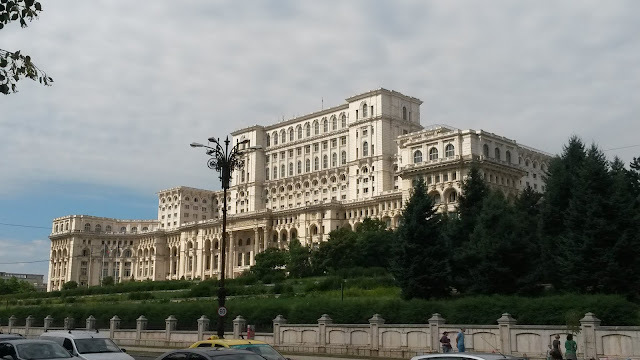 The Romanians wanted to pull it down after the revolution, however by that stage it was considered cheaper to complete than to demolish, which is why it is still standing, thoroughly hated. In the evening we went to another historic place to have dinner – the Caru Cu Bere, the house of beer, the very first beerhouse in Bucharest. You need to reserve a place there as it’s often quite full. We were given a table in the wine cellar, where there was a band playing some excellent music. We were sitting right next to them, and after we had finished our meal they came back from their break, so I had to order a Sambuca to give us some more time to listen to them playing. They acknowledged our appreciation of their performance as we left, waving to us as we stood up to go even as they were playing their instruments. Lovely place. The second day we explored the southern part of the city. 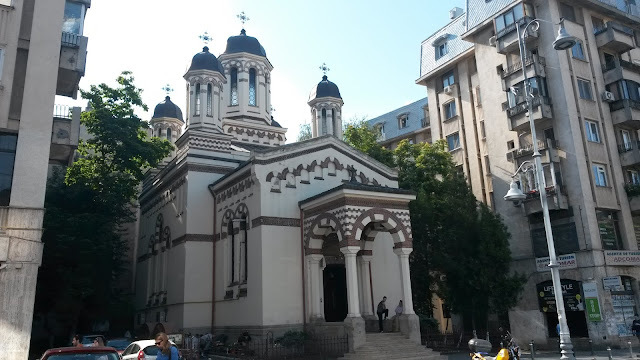 We saw a few splendid Orthodox churches on our way to the Patriarchal Cathedral Complex on top of a low hill up from Piata Unirii, one of the few hills in this flat city. It was morning and most of the churches were brimming with worshippers. 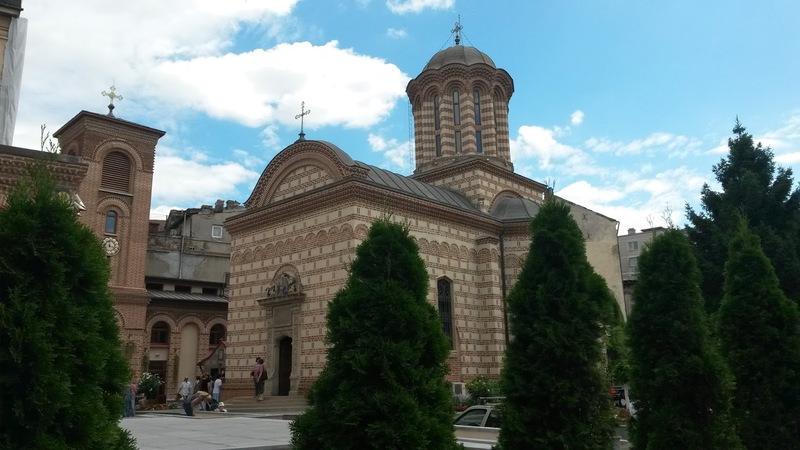 The following day we learned from a guide that it was a day dedicated to Saint Ilie, who is much revered by Romanians. In the afternoon we headed further south towards two parks situated close to each other. First we walked through Parcul Carol I, which has a large monument with an “Eternal Flame” dedicated to the Unknown Soldier. 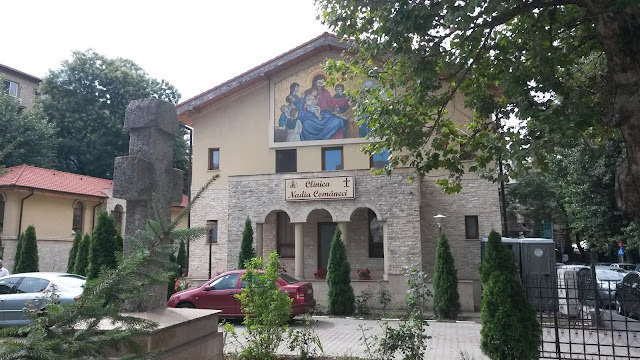 Across the road from this monument and passing through a short street you get into Parcul Tireletului. This was one of the “few good things” done by the Communists in Bucharest. Previously the area was a slum known as “Vale of Tears”. 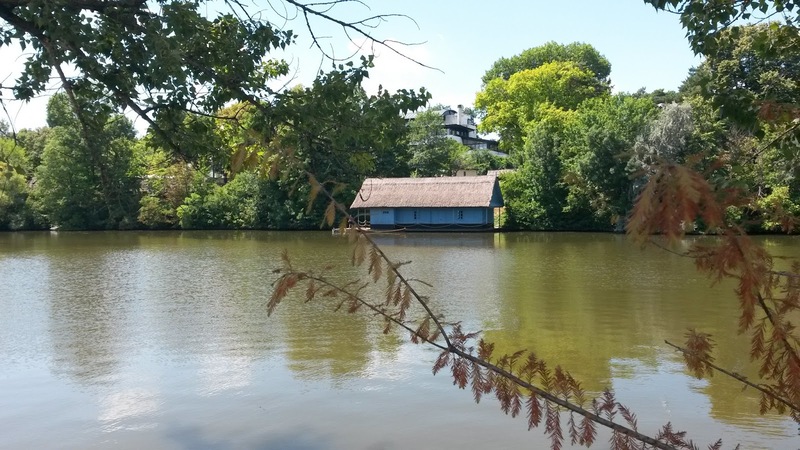 It was turned into a large park with a lake and playing areas, while the residents were relocated to social housing that was constructed nearby. Coming back through Parcul Carol I, we hired a boat which Gianluca rowed for a period of one hour around the lake there. The third and last full day we went to the northern part of the city. 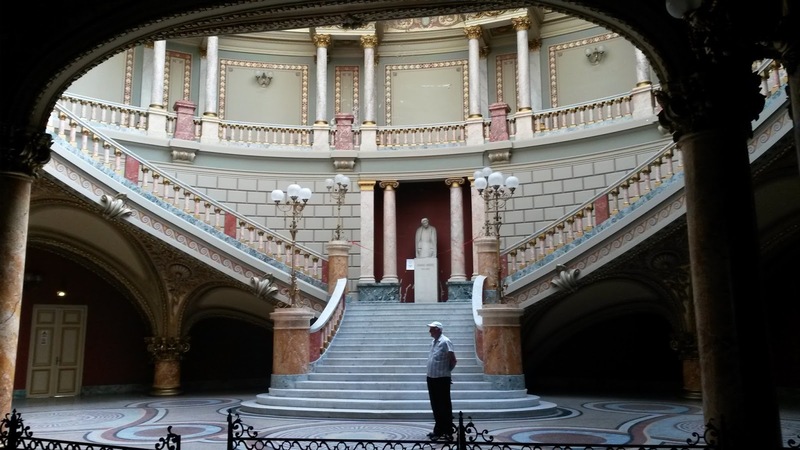 Our first stop was Piata Revolutiei. It’s a large square surrounded by impressive buildings. The least impressive used to be the Communist Party headquarters, and from its balcony Nicolae Ceausescu delivered his famous last speech to the Romanian people, a speech that was interrupted in the middle by loud jeering and a great commotion in the crowd. After lots of shouting of "Quiet! Keep quiet!" mainly by his wife Elena, he managed to proceed with his speech until the end, after which Ceausescu was whisked away to safety by helicopter. Soon after the army turned against him and he and his (equally dictatorial) wife were captured and executed following a mock trial. 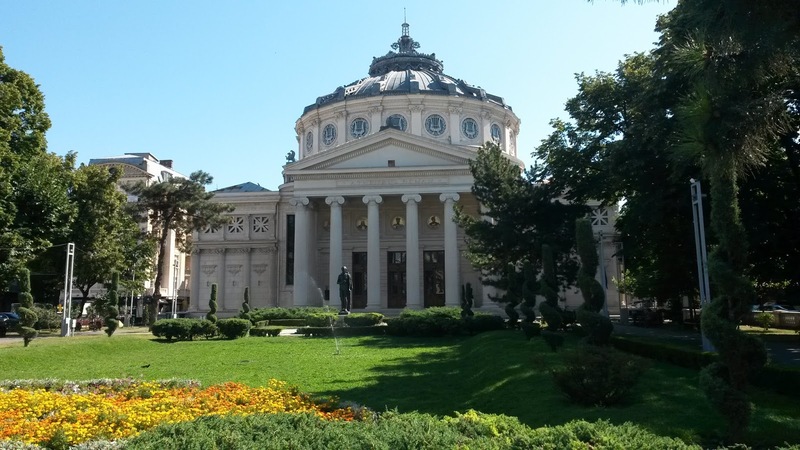 In one corner of this square lies the truly magnificent Romanian Athenaeum. 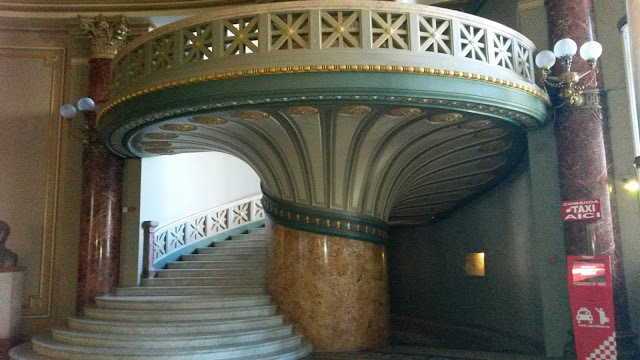 This has a pretty front garden, a colonnaded entrance hall and spiral staircases leading up to the circular auditorium. 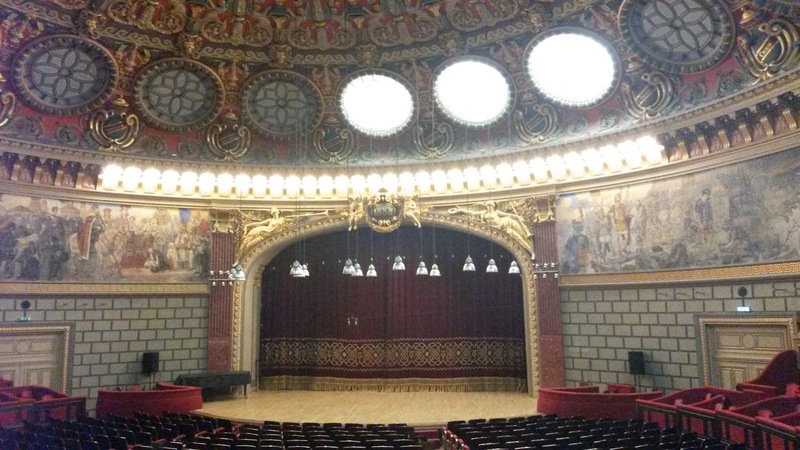 The auditorium is famous for its acoustics and is used exclusively for classical music concerts. 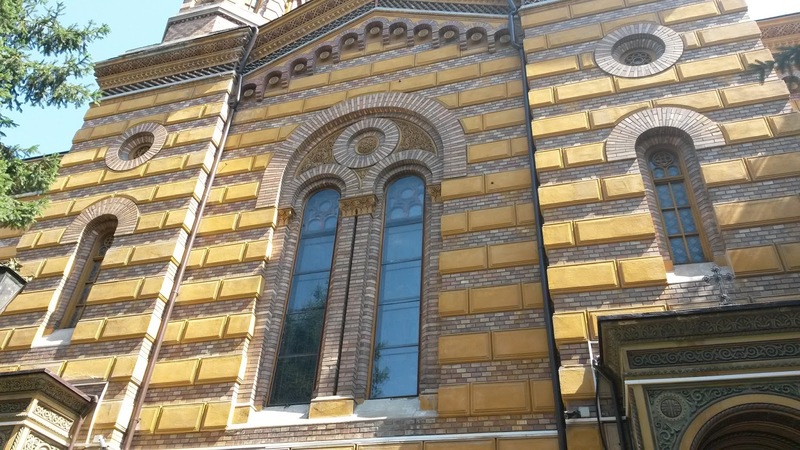 Most of the building is in colourful marble. The attendant there took us in for a nominal fee. 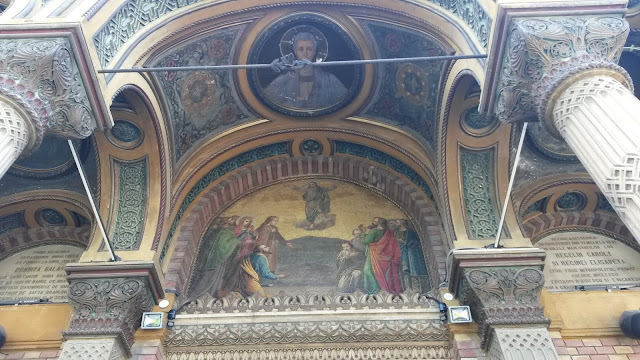 He showed us around, speaking only in Romanian, and insisted several times that pictures were allowed, then proceeded to stay in the way of the some of the better views... This may well be the most beautiful building in Bucharest, although of course I can't be sure as there are so many others that we didn’t enter. We took the subway towards Charles de Gaulle Square at the entrance to Parcul Herestrau for our last main activity in Bucharest – a bicycle tour with a guide. This is my only regret in an otherwise very successful trip. It wasn’t cheap, and many of the places we went to we had already been. 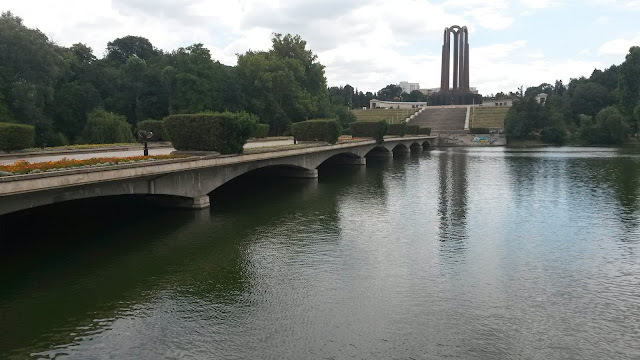 We should have hired a bicycle for a much cheaper price and explored the park, its lake and some attractions in the area like the Arcul de Triumf (a smaller replica of the original French version), the House of the Free Press and the Village Museum. The latter consists of many reconstructed rural houses from various parts of Romania illustrating the traditional way of life there. This we had no time to visit, unfortunately. To be fair, the guide gave us further interesting insights into Romanian history, about the areas and some of the buildings we passed and on life under the Communist regime. They are still so traumatised by that era. 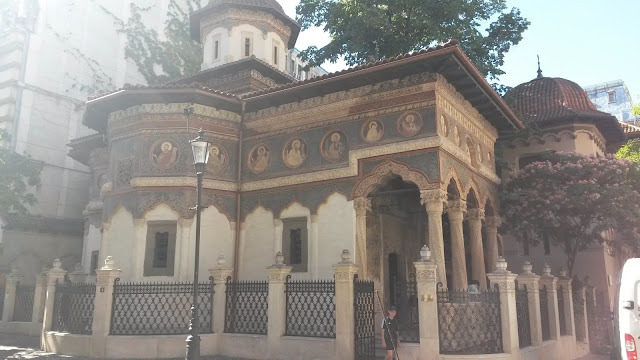 He explained about the friendly Romanian historical connection with France, through its war for independence from the Ottoman empire and the First World War. The nation’s flag itself, according to our guide, is inspired by the French flag with yellow replacing white in the middle. The bike tour ended in Tineretului park, where we left our bikes, paid and thanked our guide, Razvan, and (literally in my case) limped to the subway to go have a final meal, pack and have an early sleep as we needed to wake up at 3.30 am the following morning to catch our flight back to Charleroi airport in Belgium. What an adventure! Thank you Gianluca for your pleasant company. I will treasure these adventures with you for the rest of my life.